Over the past week, President Obama has directly entered the debate about raising the debt ceiling and cutting the budget deficit. Of course, the debate is about something altogether different and far more important—the century-long battle between the two major political parties over the proper role of government in American economic life. But what has gone largely unnoticed throughout this process is that the meaning of “tax reform” has undergone a profound, if gradual, transformation. In varying degrees, the term has evolved from a once bipartisan agenda for raising revenues more fairly and with less economic distortion into a new way for conservatives to “starve the beast”—beast being the metaphor some conservatives use for government, starvation a shorthand for tax cuts. Traditionally, spending can take place not only in its usual and easily recognized form—cash outlays—but also through the tax code. A succession of presidents, senators, and representatives—from both parties—discovered that it is far easier politically to promote activities they favor through tax breaks than it is through direct spending. If you want to encourage historic preservation, energy conservation, research, housing investment, transportation, education, health care, and much, much more—give a tax break of one sort or another to people or businesses who do the right thing. That is so much easier than asking Congress to appropriate money each year. Direct expenditures make the government look bigger by raising outlays. Tax breaks, in contrast, make government look smaller by lowering revenues—and they can last indefinitely. As a result, the tax code is now a veritable groaning board of so-called “tax expenditures”—173 of them, according to a tabulation in the 2012 Budget of the U.S. Government. When considering spending cuts, most observers realize that a meat-axe approach is foolish—some expenditures make sense, some don’t. The same is true, of course, of tax expenditures. Some were ill-considered from the start—for example, credits to encourage production of ethanol have increased the demand for grain and raised its price, which in turn has caused widespread hunger in poor nations and actually increased emission of greenhouse gases. Other tax breaks survive from when they may have served some purpose. With oil selling for near $100 a barrel, tax breaks are not needed now to encourage its extraction, if they ever were. Still other provisions promote meritorious objectives—often, alas through means that are inefficient or unfair. Charity is virtuous, but the charitable contributions deduction, which reduces taxes of millionaires more than it reduces taxes of bus drivers if each give $1 to charity, seems a dubious way to promote virtue. But that, unfortunately, is not what “tax reform,” as it is now used in the deficit reduction debate, has come to mean for the majority of Republicans in Congress. Earlier this year, Representative Paul Ryan proposed a deficit reduction plan that, in the name of tax reform, repealed most itemized deductions. The resulting revenue would not be used to pay down the deficit, however, but to cut tax rates, mostly for the benefit of comparatively well-to-do Americans. 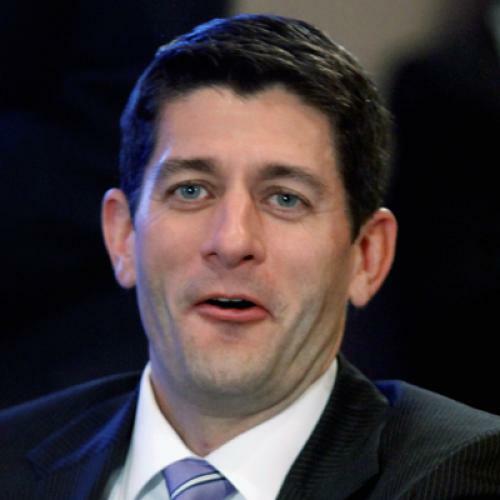 House Republicans supported the Ryan plan unanimously, as did all but four Senate Republicans. In the current debate, some Republicans are again warming to the idea of sweeping away many special tax provisions. But again, Republicans are arguing that most—and in some cases, all—of the added revenue should go towards cutting personal and corporate tax rates, not for deficit reduction and not for achieving important social and economic objectives more efficiently and fairly. Genuine income tax reform is very much needed. Some of the deficit-reduction commissions embraced such reforms, including taxing income from investments and from work at the same rates. But the simple repeal of all deductions, credits, and allowances, when coupled with lower tax rates, is a perversion of genuine tax reform. It is simply “starve the beast” in a new guise. Henry J. Aaron is a Bruce and Virginia MacLaury Senior Fellow at the The Brookings Institution.